Regular readers will know that I'm a big fan of body oils as a quick way to nourish my skin. There's no faffing about rubbing in as with a lotion, or waiting for it to absorb as with a rich cream so I tend to use oils when I need to be ready in a hurry. 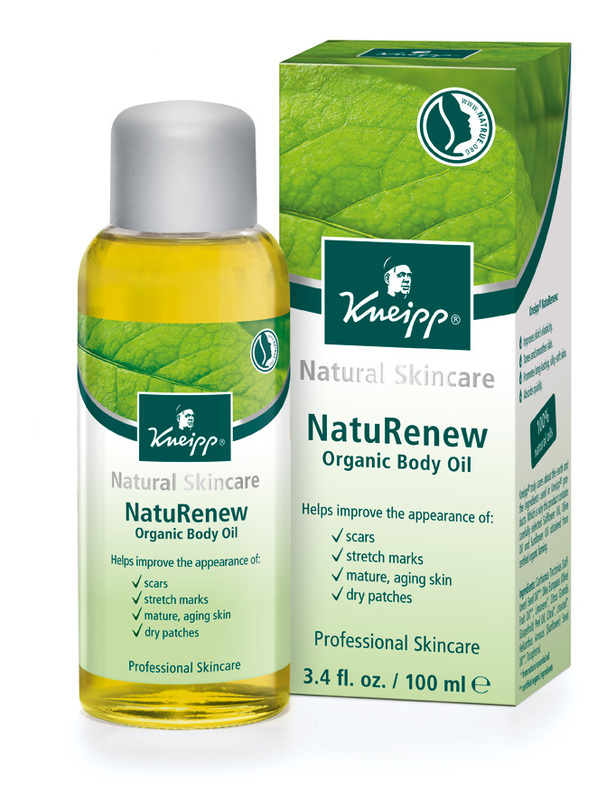 I'd never heard of Kneipp before and certainly have no idea how to pronounce it- neep? knee-ip? Apparently it's a world renowned spa brand so when I was sent a bottle of the recently launched body oil, I was keen to try it. Now I have to admit that on first impressions, I didn't find the packaging particularly exciting. It's that typically worthy style for organic products which I thought we'd moved on from. Having said that, it's functional enough and the dropper allows for controlled dispensing. Kneipp NatuRenew Organic Body Oil contains a blend of nutrient-rich golden safflower and olive oils, along with grapefruit and it's this which really comes through in the fragrance. The scent is a tempting blend of sweet citrus fruits which I really liked although I didn't find that this lingered on my skin. It sinks in easily and locks in moisture without leaving a greasy residue. My skin felt nourished for the entire day. It's also supposed to help improve the appearance of skin conditions such as stretch marks, dry patches, scars and have a firming effect, although I haven't been using it for long enough to notice any of these benefits. At £8.95 for 100ml, I feel that this offers fantastic value for money and definitely recommend it.